Having multiple lines of code and changing versions can be difficult to track. Commit codes in Bitbucket and view the changesets inside Zoho Projects. 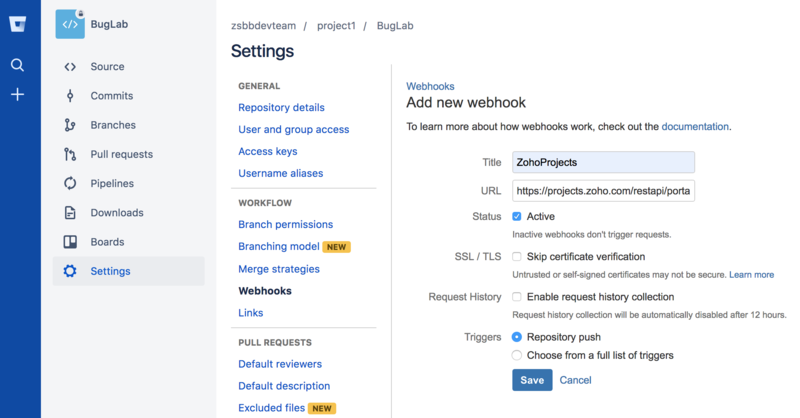 You can integrate Zoho BugTracker with Bitbucket using webhooks. You must be an Admin to integrate services with Zoho Projects. Navigate to > Integrations > Developer Space. Copy the Post URL for Bitbucket Integration. 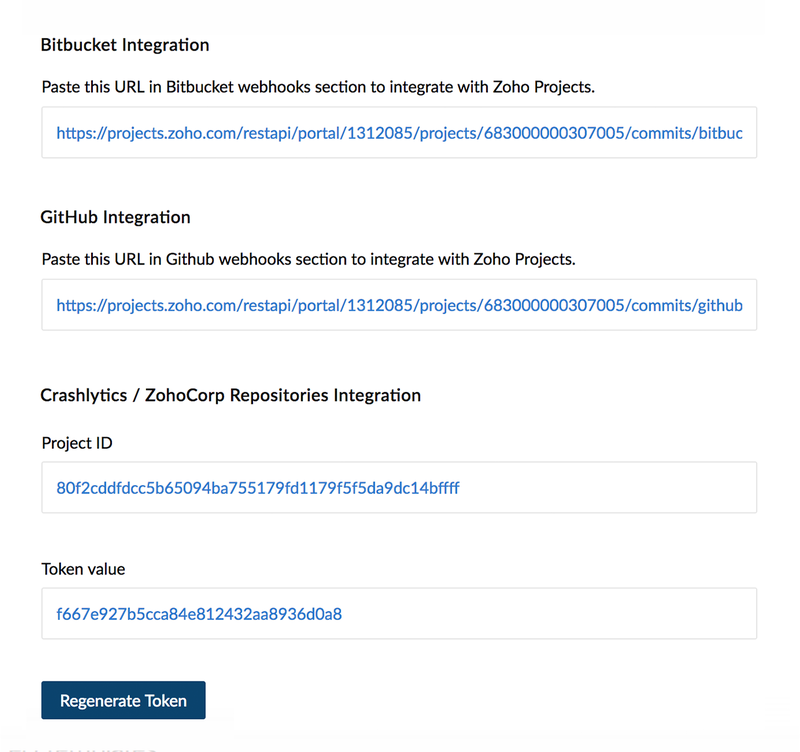 Use this URL to configure the integration in the Bitbucket webhooks section. Users who have already integrated Bitbucket and Issue Tracker using service hooks can continue to do so. If you regenerate your auth token, login to Bitbucket and paste the URL. The integration will work normally. Click Settings and click Webhooks. Enter the project title and webhook URL. Select Repository Push under Triggers. Click Edit to modify the code. Click Commit to save the file. Select your Project in Issue Tracker. Click Issues from the left panel. To view the changesets for a particular issue, click on the issue and then click Changesets.